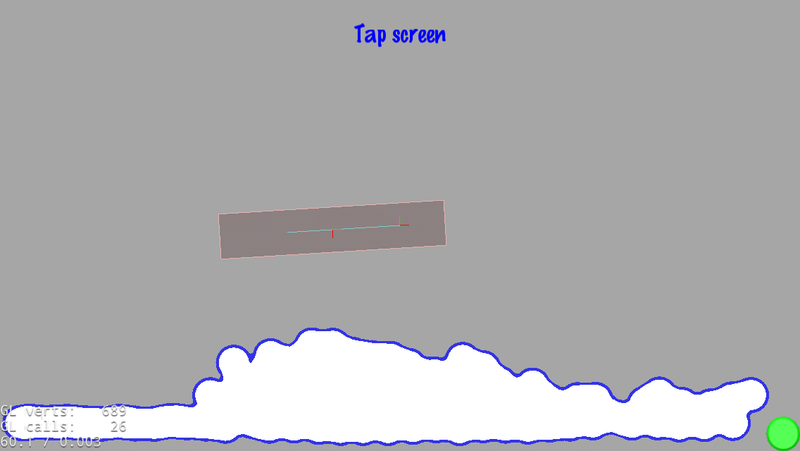 Basically LiquidFun is Box2d plus an extension to simulate fluids using a particle system. To test it, download and install the official LiquidFun – Testbed, and LiquidFun – EyeCandy for Android. Cocos2d-x already has Box2d integration, so in order to integrate Cocos2d-x with LiquidFun, we only need to integrate this new class: b2ParticleSystem. I’m not going to describe how to use LiquidFun (for that, read its programmers guide). Instead, I’m going to describe how to integrate b2ParticleSystem in Cocos2d-x (also applicable to any other game engine). // Get the number of particles. // Get the particle radius. // Get the color of each particle in RGBA Uint8 format. cocos2d::ParticleSystemQuad doesn’t support changing the attractor (this is a design bug, we need to fix it). A nil attractor would be needed for this case. ParticleSystemQuad works with Quads, and not Points. And even if Points were supported (like in Cocos2d-x v1), it wouldn’t work because the points and colors should be in an interleaved array. 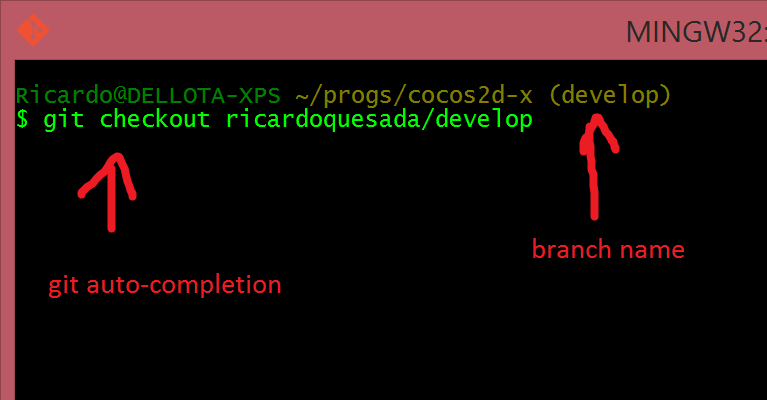 The other issue is the conversion between Box2d and Cocos2d-x coordinate system, but it would be easy to fix. So you have Windows 8.1 + Visual Studio 2013 installed. Now you need to install a git client. I use git command line about 70% of the time. 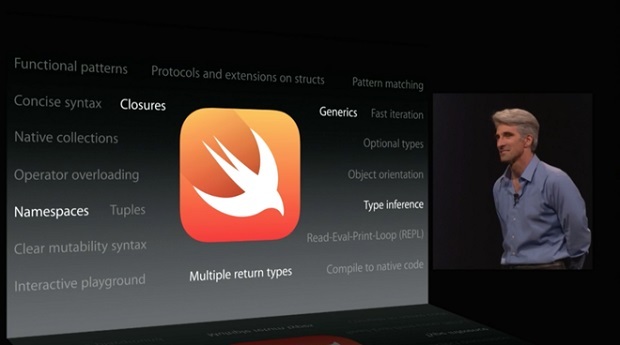 In the reaming 30% I’m using Tower, Kaleidoscope and Xcode. Mysysgit, for git command line. What I like about Mysysgit is that it installs a Unix-like shell, with git auto-completion and you can also see the current branch in the shell prompt. That is very handy. SourceTree is also a pretty good, advanced GUI client for git. I used it a lot in Mac before switching to Tower. b) From SourceTree -> Tools -> Options, import the newly created key. Make sure you select the “OpenSSH” option, and not “Putty”. c) Then, what you have to do is to add the public key in Github. An alternative option to Mysysgit + SourceTree is to use Github for Windows. But I didn’t like it, its GUI is too basic for my needs. It is worth noting that Visual Studio 2013 Pro (not Express) comes with built-in git support. It is similar to Xcode’s git support. Guau… ya paso un mes desde el ultimo post ? Estuve dandole a cocos2d para iPhone. En este ultimo mes saque 3 version de cocos2d para iPhone, quizas lo mas importante es que empece con la serie v0.6.x que viene con varias mejoras en la API y con el feature de Parallax Scrolling. Ademas saque con Sapus Tongue Lite, la version gratis de Sapus Tongue que tiene todos los features salvo el de subir scores al server. Y como ultimo, pero no menos importantes, volvi a las pistas de ajedrez. Estoy jugando el torneo del CSM… las aperturas las tengo medio olvidadas pero lo demas mas o menos lo tengo fresco. Sapus Tongue v1.0 salió a la venta! Si… Sapito Tongue salió a la venta… mi 1er producción… 100% mia… estoy muy contento! Usa cocos2d v0.5.2 y utiliza casi todos los features de este.